SSI is a U.S. owned and operated small business located in Decatur, AL. 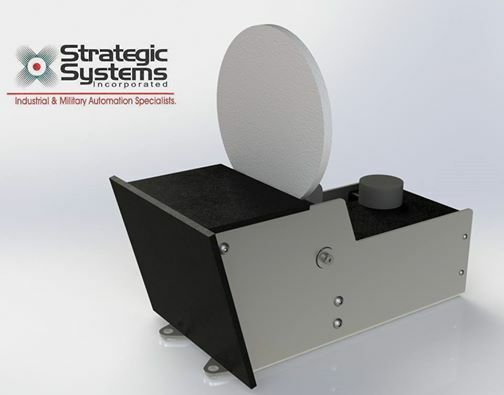 We are recognized as an innovator in design, manufacturing techniques, installation, maintenance and support of modern target systems from simple target ranges to full MOUT site operations. The patented RIAB™ Target System meets the flexibility needs of today’s military by combining the advantages of WiFi technology and smart software with lightweight and mobile components. This system can be easily set up on site as a stand alone, integrated with enhancements such as shoot back devices, audio, lighting and motion sensors or in conjunction with urban training facilities. This lightweight system can be deployed anywhere within a viable training area and used with training ammo or live rounds (with sand bags/defilade). The RIAB system will work with off the shelf paintball and Airsoft ammo. The system is quick and easy to setup, 2 personnel can deploy a 10 target scenario start to finish in less than an hour typically. Command and Control of the system is done with the powerful but easy to use Range Control software by SSI. Scenario training is easy to build with the open-architecture software.